Atopic diseases, or those that cause an individual to experience immediate allergic reactions (asthma being one of the more common), affect about 20 percent of the population in developed countries. Researchers looking for a way to combat the longtime public health concern conducted a series of tests involving the use of cannabidiol (CBD). 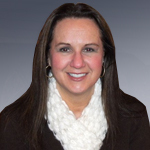 Although the research used rats as subjects the results are nonetheless encouraging. Early research suggests that CBD is an effective treatment for minimizing the inflammation experienced by asthma sufferers. With the approval of the Ethics Committee at Brazil’s Universidade do Extremo Sul Catarinense, and in conjunction with the NIH Guide for the Care and Use of Laboratory Animals, researchers conducted a study using 8-week-old rats sourced from a breeding colony. The rats were housed five to a cage and exposed to a 12-hour light cycle. They were given food and water to enjoy at their leisure. The rats were injected with chicken ovalbumin (OVA) alone or in combination with aluminum hydroxide. OVA is atypical to the environment and known to provoke Tp and Th2 responses. A second boost of either OVA or aluminum hydroxide was administered 14 days later. After a week, the rats were given aerosol challenges using saline or a similar solution. During the last two days of the study, 21 of the rats were separated into 3 groups–a control group, an asthma group (injected with OVA), and an asthma/treatment group (injected with OVA and CBD). Those in the asthma/treatment group were given an injection once a day of a solution of CBD and TWEENⓇ80 (which was prepared immediately before administration and kept out of light beforehand). Blood samples were then obtained from the rats 24 hours later so that researchers could assess their levels of cytokines. Cytokines are small proteins released by cells that have specific effects on the interaction and communication between cells and on the behavior of cells. 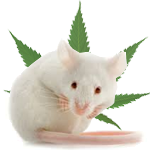 The study revealed that the rats treated with CBD experienced a reduction in two types of cytokines; known as Tp and Th2. 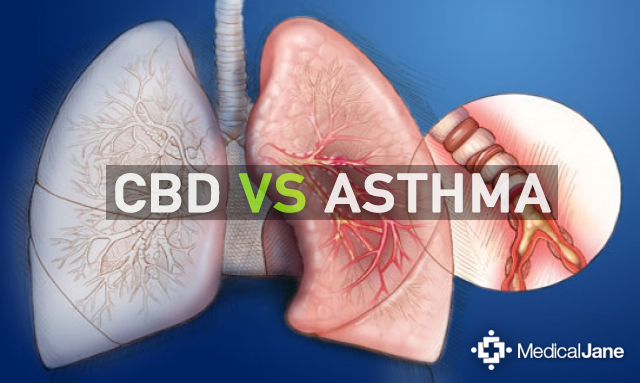 In addition to showing that CBD treatment was effective in reducing cytokine levels, the study suggests that CBD may influence a reduction in the major stimuli of mucus hyper-secretion, another prominent symptom experienced by those with asthma. The findings of the study were consistent with that of the Ribero study, which shows CBD to have potent immunosuppressive and anti-inflammatory properties. It is noted, however, that the asthma-associated inflammation of the rat models differed somewhat from that of the LPS-induced inflammation of the mice models being studied for decreasing inflammation due to lung injuries. While the rat model study gave researchers some good data to interpret, it was not without limitations. One limitation was the fact that researchers were unable to review solid evidence of airway inflammation because they were unable to properly assess the effect CBD has on bronchoalveolar lavage fluid cytokines. Lung function was also not measured, so it is unknown how CBD affects air flow and related obstruction. Despite the limitations, this study and many others like it are demonstrating the need for more effective, rigorous and timely studies, especially in human trials with a larger sample size. While most people support the legalization of cannabis, few agree on what constitutes effective treatment. A major reason for this is the lack of scientific research. To truly understand and document the full impact of the Cannabis plant and its compounds, improvements in research technologies and data-gathering techniques are desperately needed.